A glimpse at who we are. At Rockport Post & Beam, we custom design and build our homes, cottages, and barns with the owner's wishes foremost. We're committed to serving our clients with the same strength and integrity that are the hallmarks of our timber frame structures. We're pleased to have the opportunity to build unique homes for our clients and proud to say that we've yet to build the same house twice. In fact, we enjoy being challenged to push the envelope of timber frame construction. We've designed and built a home in the style of a lighthouse, and joined two homes with a timber frame bridge. Architects team with us to create appealing and functional commercial buildings. Among our most satisfying current projects has been the construction of several lovely shingle-style homes. Tom Dyer began building timber frames in the 1970's and founded Rockport Post & Beam in 1982. He is now one of the co-owners and the President of Rockport Post & Beam and continues to oversee all projects, holding the craftsmanship to the highest standards. Kevin Morrissey, co-owner, personally oversees the construction of every RP&B building. 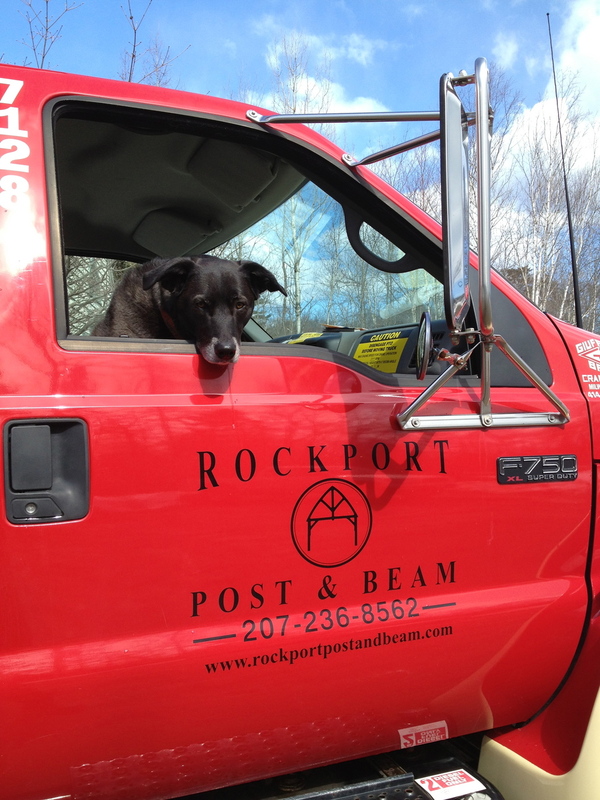 He has been in the construction industry since 1989 and with Rockport Post & Beam since 2002. From the moment he first started working on timber frames he knew he had found his passion within the construction field. Starting with initial design until that last piece is in place, Kevin keeps his fingers on the pulse of the project. He can be found out in the shop covered in saw dust while he is hands-on cutting a frame or high up on scaffolding making sure every joint goes together flawlessly. Evan Dyer, co-owner, has grown up in the family business and has timber framing in his blood. From the time when he put down his plastic tools and picked up a chisel he has been dedicated to learning the trade. He has spent years in the shop cutting timbers as well as on job sites erecting frames and finishing homes, while also completing a business degree. Now, when he isn't on site, he can be found in the office where his passion is now helping clients incorporate their visions, needs, and desires into the plans for their homes. Evan keeps projects on track, coordinating all phases of design and construction and making sure that materials, contractors, and workers are on site when they're needed. We're a small, owner-operated, Maine company, vigilant in our commitment to excellence. We undertake a limited number of projects in Maine and New England, each building in harmony with its surroundings, each a reflection of our client's wishes, and each a beautiful and enduring example of timber frame construction.